ictured here with instructor NICK S., rider NICOLE discovered her chance for "sweat therapy" on the bike. Read her inspiring story, ahead. Earlier this year, my sister’s love for SoulCycle dragged me to my first class during a visit to Washington, D.C. Long story short, I literally sat in the saddle for the last 20 minutes of class out of pure confusion and exhaustion. "What was that?!" I didn't like being that bad at something, so a week later, I booked a bike at my local SOUL in New Jersey to try it one more time. Because I knew what to expect, it became easier and easier with each ride. I didn’t realize until a few classes in that SoulCycle was becoming my “sweat therapy.” A OneRepublic song played toward the end of MAX's class in SHORT HILLS and triggered a certain memory and emotion in me and I started crying. This is when I truly appreciated that the room was dark, so no one could catch me in that vulnerable moment. For the past six years, I haven’t fully been my joyous and outgoing self. I've experienced several miscarriages and have been through a torturous (to say the least) unexplained infertility process. I have tried anything I could to control my body — changing my diet and going to countless doctor visits. When I realized that you can't have full control over your body no matter how hard you try, I was utterly disappointed and felt like a failure. I was in a low place mentally and struggled to stay positive. 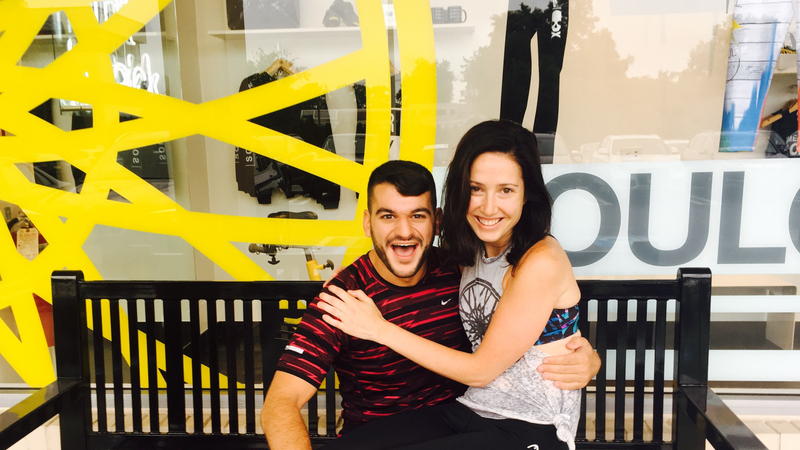 At a time when I really needed it, SoulCycle gave me physical and mental strength. In that room, I actually have complete control over how my body feels. Each turn of the resistance knob gives me back some of that control I felt I lost. I push as hard as I can to the point that it feels cathartic; I take out all my frustrations in that 45-minute ride and then leave it there. I'm stronger than I have ever been and I've never felt better in my own skin, thanks to the physical changes working out has had on my body. Each ride is my own personal therapy session. I give and it takes, I take and it gives. I have released that negative monkey on my back (as well as all the self-inflicted stress) and given myself something to look forward to. Friends and family have commented on my increased energy and physical changes. They have also noticed a positive change in my demeanor when discussing where I am in my fertility journey: my feelings are still there but I communicate them without all the anger I once held. My husband has been super supportive and appreciates SOUL’s contribution to my positive changes — he is just happy that I have finally found a hobby that I can feel this excited about after all these years. For myself, I have finally come to a place where I look at my struggles with more clarity. I am where I am, and I am finally OK with that (boy was it a long, long road). When I am feeling low or frustrated, a great SoulCycle ride with the music blasting and the sweat dripping has been the release I need to shift my focus to the positives. It’s the place I go for me, to invest in myself. I am truly thankful that I am able to attend SOUL classes when I need them, as I know others who silently struggle may not have access to the same support system. I hope just sharing my story can provide someone struggling the courage they need to start their own path to inner peace. It won't always be easy and you're allowed to have bad days, but that there is someone rooting for you, always.